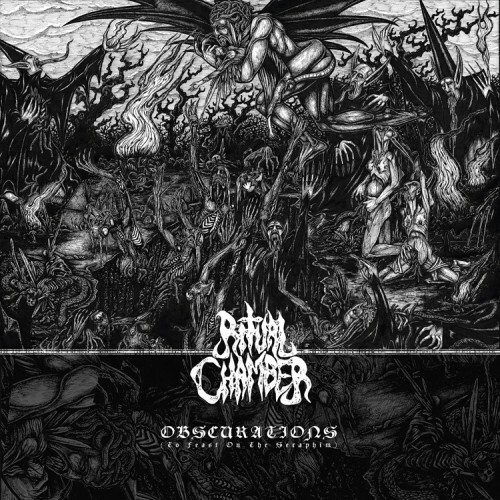 Currently viewing the tag: "Krohm"
"Simply put, Obscurations (To Feast on the Seraphim), the début by one-man band Ritual Chamber, is easily an archetype of how “evil” music should sound. Guitar riffs and growled vocals rise from a gutter filled with tortured souls, putrid bile drips from drum kicks and rumbling bass lines, and a general atmosphere of rot and despair fills each and every song. Cliché as it may seem, it’s dread incarnated." Ready for some dread and breakfast?